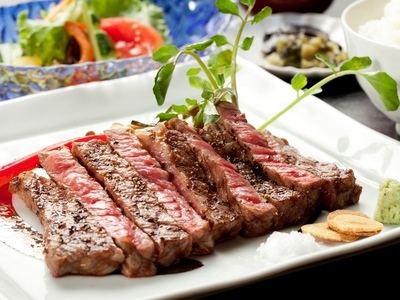 We serve you juicy Tajima beef(Kobe beef) steak. The owner buy selected beef for you. Please enjoy Tajima beef(Kobe beef)!! Dinner course: 1. Salad 2. Tajima beef(Kobe beef) steak 3. Rice 4. Miso soup 5. Dessert(Sherbet) *Amount of beef can be changed. 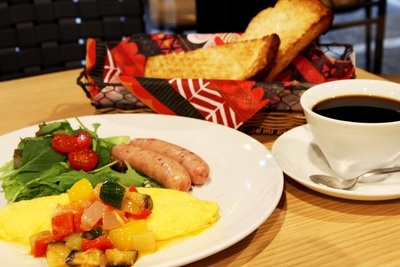 (can be change on the day) 100g→150g +2,100yen / 100g→200g +4,300yen We serve omelette, toast, salad and a drink (coffee, tea, orange juice, apple juice, milk (hot/cold)) as breakfast at Third Cafe on the first floor. We serve omelette, toast, salad and a drink (coffee, tea, orange juice, apple juice, milk (hot/cold)) as breakfast at Third Cafe on the first floor. We serve you lean meat and marbling meat. 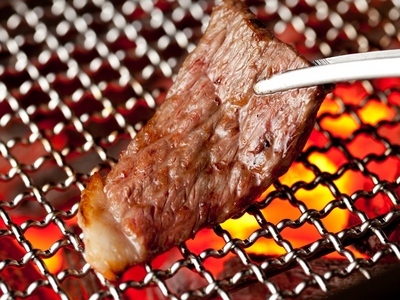 You can enjoy Tajima beef (Kobe beef) grilled over coals with local salt and wasabi at our restaurant. The owner buys selected beef for you. Please enjoy Tajima beef(Kobe beef)!! Dinner Course Menue 1. Aperitif　2. Appetizers 3. Soup of the day 4. Original Salad 5. Tajima beef(Kobe beef) grilled over coals 6. 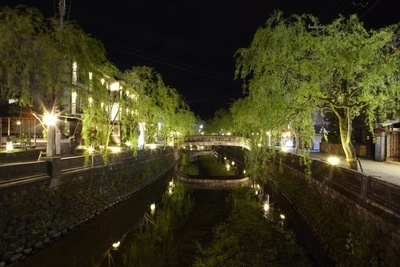 Koshihikari Rice 7. Tajima beef curry 8. Miso soup 9. Dessert We serve omelette, toast, salad and a drink (coffee, tea, orange juice, apple juice, milk (hot/cold)) as breakfast at Third Cafe on the first floor.